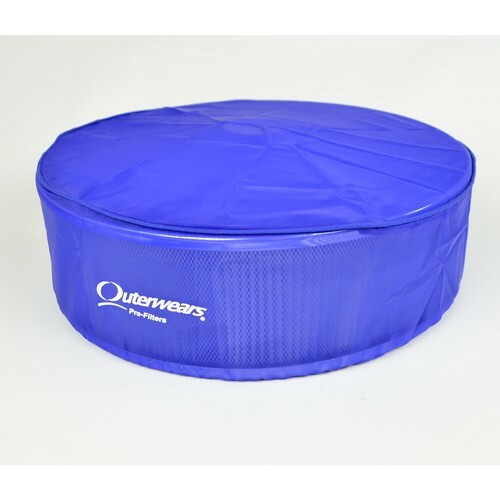 Outerwears pre-filters are designed to enhance the efficiency of any performance or exposed air filter. The pre-filter is constructed with a proprietary polyester mesh with uniform micron openings, treated with an optional hydrophobic water-repellent process. The mesh is uv resistant, filters debris down to .005, the pre-filter also extends the time between servicing intervals, reducing costs and increasing convenience for the consumer.